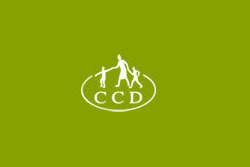 Christian Care Foundation for Children with Disabilities (CCD) provides help to some of the many thousands of children in Thailand who have been abandoned or have been given into government care by families unable to support them. 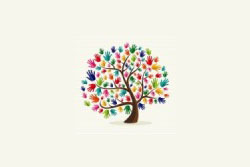 Volunteer Work: CCD welcomes international and local volunteers (both professional and non-professional) to work with disabled children alongside CCD staff. CCD is always interested in having professionally qualified therapists, medical staff and others, either living in Bangkok or from overseas, who are willing to donate their time and experience. Professionals will have the opportunity to work alongside Thai professionals (eg physical therapists, etc) to help disabled orphans in Thailand. Volunteers will be working in one of the four different CCD day-care centers (Rainbow House Daycare, Fuang Fah Daycare, Rachawadee Girls or Rachawadee Boys). 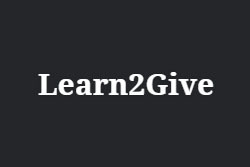 Learn2Give is a non-profit teaching project which welcomes volunteers from all over the world to teach English at rural schools in Northeastern Thailand. The project has been carefully designed by English Crazy Club staff who has worked closely with children and international volunteers at previous English camps. What we do is contact host schools for Learn2Give volunteers. The host school will be willing to provide accommodation and food for volunteers in return. Before teaching at school, our volunteer will be given an introduction activity run by English Crazy Club staff for five days. Volunteer Work: Basically, the volunteer will teach English in the school. (1) Teach or assist teachers in English classes 3-4 hours a day from Monday to Friday at primary school or high school; (2) Teach with emphasis on communication skill; (3) Create fun and practical method games and songs; (4) Help our club run English camps on some weekends. Teaching hours can be flexible when needed. Volunteer Teacher Thailand came out of the magnificent work of the Tsunami Volunteer Centre. The TVC went out into the communities and asked the people what they wanted most and English teachers for their schools were a high priority. Our volunteers go into schools and provide English teaching at no cost to the schools or the children. We follow the Thai Government curriculum so the teaching is relevant to the children’s education. To meet the curriculum we have a developing library of 200 lessons ready to go. A Lesson Plan explains how to use the pack which contains laminated pictures, flashcards with Velcro boards to provide flexible and stimulating teaching materials. Volunteer Work: You will teach in Government schools around Khao Lak for four days each week, with half a day for preparation. You will go into each class knowing you have the materials and confident that you will deliver a meaningful and relevant lesson. Cost: A one off registration fee no matter how long you volunteer for: 4,000 Thai Baht. Transport is provided every day to the schools. Volunteers choose their own accommodation from the many guesthouses in the village, and pay their own expenses such as food and board. We can advise on accommodation and airport transfer. 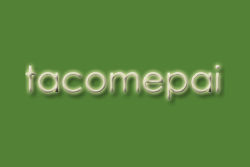 Tacomepai is run as an organic farm with guesthouse accommodation. We offer a farm stay where you can learn to live with nature. Volunteer Work: Volunteers get involved in our daily work which includes planting, watering, harvesting, maintenance of the house, etc. Cost: 200 Thai Baht per day if you stay less than 3 nights and 150 Thai Baht per day if you stay more than 3 nights. For Life simply exists to bring life to the hundreds of disabled children living in Thailand. These children are abandoned, living in poverty, malnourished and uncared for. With your help, we seek to change their situation, for life. Our primary focus is to raise funds for the Christian Care Foundation for Children with Disabilities (CCD), and to act as a base to co-ordinate supporters, adoption families and ex-volunteers. Volunteer Work: We are always interested to hear from people who would like to volunteer with CCD in Thailand. Once at CCD, you will be working in one of the four daycare centres – Rainbow House Daycare, Fuang Fah Daycare, Rachawadee Girls or Rachawadee Boys (for more details, see CCD page) – and possibly even in the wards themselves if you have physiotherapy or nursing skills. CCD will allocate which daycare centre you will be working at before your arrival. Volunteers are expected to participate and help in all areas of care in order to provide for the needs of children and young people. If you are professionally-trained, you can use your skills to help the work of CCD. Although the primary aim of all volunteers is to support the CCD staff in caring for the children, training such as physiotherapy, nursing and occupational therapy is an additional tool you can use whilst at CCD. Cost: There is no fee to volunteer but you must cover the cost of your trip. Rent in the volunteer house is £50 per month. You will need to consider the cost of your visa (approximately £100), flights and spending money. 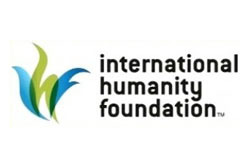 International Humanity Foundation (IHF) is a grassroots, all�volunteer organization with no central office, so co-Directors complete 4 hours of international work daily that consists of various administrative tasks. All co-Directors manage one or more of our international task teams, such as University Relations, Fundraising, Teacher Training or Media. You will work closely with co-Directors at other centres to manage these teams and will receive unique training in a multi-level, multifaceted system. You will be assigned your teams according to your experience and skills. This work can be challenging, but you will hone your time management skills and learn intimately how an NGO functions at both the ground and administrative levels. Before arrival at the centre, you will already become a part of the team by completing pre-trip tasks with our international teams to gain an understanding of the kind of work you will be doing. Volunteer Work: Our Thailand centre is a home for seven older children from a nearby hill tribe. Teenagers from this marginalized community come to our centre for a stable home and the chance for an education. Your role would include fostering a familial environment for the children, overseeing their education and managing the various needs and activities of the centre. Cost: Basic accommodation and food is provided by IHF. You are a volunteer at the centre and all local tasks completed are done so without pay. As a co-Director, you will receive a small monthly stipend. This stipend results only from the international online work. After one year there is the opportunity to become a full Director. Phana Monkey Project promotes the welfare of wild Long-Tailed Macaques in Phana, a village in Amnat Charoen province, northeast Thailand. 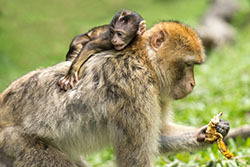 Volunteer Work: The Phana Monkey Project aims to assist in maintaining the health and well-being of the Long-tailed macaques. Volunteers will be required to help us feed and water the monkeys as well as maintaining the cleanliness of the forest � by removing litter and food debris. We also encourage and facilitate research. Volunteers can assist with data collection on behalf of the project and also to assist qualified researchers. At present we are collecting data on the food provided for the monkeys by visitors and the way monkeys react to the provisioning. Identifying and tracking individual monkeys is also one of our current concerns. No particular qualifications are needed for the collection of this data other than patience, good observational skills and the ability to record data accurately. You will be required to spend several hours at a time in the forest, so an ability to withstand heat and lack of comfort is a prerequisite. Volunteers who are able and willing to do some teaching in local primary schools and / or the secondary school will be particularly welcome. Qualifications or previous teaching experience together with enthusiasm, patience, and an outgoing personality are required. A willingness to work with / befriend local people is essential. You must also understand that Phana is a small, somewhat remote village / town and you are likely to be with only a few other volunteers. Commitment: For the forest work, 1 month minimum is required. But for teaching, 2-3 months is necessary for this to be a worthwhile experience for students and volunteers alike. Cost: Accommodation will be provided in the Don Chao Poo Research Centre or nearby homestays at a cost of 5,200 Thai Baht per month. Volunteers can find cheap and delicious food at small restaurants and food stalls in the village. 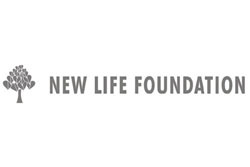 New Life Foundation is a non-profit, mindfulness-based recovery and self-development community located in the mountains of northern Thailand, about 30 minutes outside the city of Chiang Rai. The organization has a beautiful clean facility, with a swimming pool and steam bath. We provide individual ensuite rooms and three healthy meals a day. As a volunteer, you can join in yoga, meditation, Tai Chi classes, and more. Volunteer Work: We are always looking for help with ongoing projects, including: organic farming; earth building; event organizing; art and drama workshops; yoga and meditation instruction. Volunteer Work: We have several projects in the north of Thailand where you can help. We need long term, mid-term and short term volunteers all year round to do: English teaching; farming; building; arts and crafts; music and drama; sports activities; workshops and seminars. 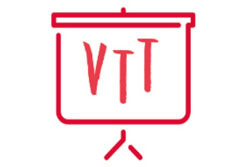 Long and mid-term volunteers get a course in Thai language and culture. Cost: The project costs 450 Euros for 3 months, 550 Euros for 4 months, 650 Euros for 5 months. The fee covers accommodation, food, training, debriefing and one weekend activity/month. Volunteer Work: Come and help bring hope to people in Khao Lak, Thailand, enabling teens and hospitality workers to develop their core employability skills, by learning English or German. Or come and bring impact for women and children at risk of sexual exploitation, through bringing growing English skills to young women in the Step Ahead Center in The Northeast of Thailand. 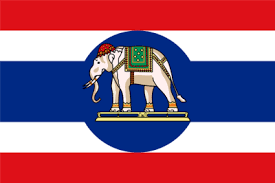 Step Ahead has two pre-school/child development centres in Khao Lak, Thailand. Be a part of our integrated community development work, helping teach and care for the little ones. Your impact on young lives by giving them an amazing English developmental step ahead, in beautiful Khao Lak, Thailand, could prove unforgettable for you, and Thai children. Cost: Short term volunteer costs for Step Ahead Khao Lak start at 3500 Thai Baht (a little over US$100) per month which includes accommodation and free wireless internet. 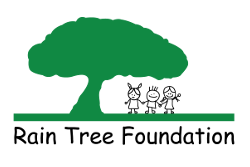 New Land Project is a reforestation project located in a peaceful forest setting. We aim to live as sustainably as possible, growing our own food, living in simple bamboo huts and doing without electricity and modern conveniences. This is a great new project to learn about farming and Permaculture and if you have more experience to bring new ideas and help us develop the project further. Cost: 200 Thai Baht per night for the first week and 150 baht per night for the remainder of the first month, no cost after one month. This includes accommodation and vegetarian food. Baan Dada Children’s Home and Community Services is a project of the Neohumanist Foundation located near the Thailand/Burma (Myanmar) border. 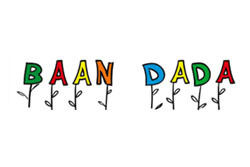 Founded in 1994, Baan Dada currently houses and supports 41 children providing a structured environment that stresses education and social service. Baan Dada also organizes many community outreach programs such as Malaria prevention, vaccination programs and eye care assistance in the surrounding villages and outlying areas. Volunteer Work: We are especially in need of those with experience in teaching (English, music, art, and computers), engineering, metal work, and masonry to help with construction projects, and/or teach about mechanical things agricultural skills (if you have knowledge about grafting, seedlings, or general agriculture and would like to volunteer please specify in your email), Graphic design and office experience (to help with press releases, fliers and website maintenance, and fundraising) and medical fields. Volunteers will have the opportunity to help with some of our other community outreach and medical programs providing vaccinations, eye care, malaria prevention and food assistance in neighbouring areas in addition to assisting with the daily activities at Baan Dada. Commitment: The minimum commitment required is 1 week, but the longer a volunteer can stay the more it will benefit the children as well as the volunteer. Cost: The cost is 500 baht per night for less than two weeks stay and 400 baht per night for more than two weeks. The cost includes 3 vegetarian meals per day and basic housing. All transportation, visas and personal expenses are the responsibility of the volunteer. Gecko Villa was established in 2002 with the aim of creating sustainable local employment in a region where, traditionally, migration to Bangkok or further afield had been the only feasible means of seeking work. This in turn involved the separation of families. The area in which the property is situated comprises traditional Thai rice farming smallholders, who eke out a living at the mercy of the weather in one of the driest regions of the nation. The property was built, and is operated by, local villagers, who in turn retain all funds generated by vacationers seeking out an authentic and responsible travel alternative in rural Thailand. Gecko Villa also aims to strengthen its wider community, with donations to the local village primary school, reforestation projects, the preservation of indigenous culture and traditions, recycling programmes and encouraging the maximization of the use of local sourcing and services. We farm our own organic rice, herbs, fruits and vegetables. By offering unusual, off the beaten path and experiential holidays to vacation makers, the villa has been able to make a small but consistent contribution to local education, employment, health care and development. Volunteer Work: We aim to match, as far as possible, your personal skills with the work offered, to leverage your contribution. This may be to the maintenance of the property, to the improvement of farming systems, or services to the wider community (for example teaching English in local village schools, specialist assistance in clinics, etc). As such, we do ask that any expression of interest include details of your experience and professional qualifications, if any. Please email us your CV, picture, current location, details of any special skills, and a covering letter. Please note we don’t answer all applications or any questions unless shortlisted. Cost: 500 Thai Baht per day which includes accommodation and 3 meals a day. The Creating Balance Foundation works with families to ensure that the children are placed in nurturing and safe environments. Sometimes this means that the children must leave their homes to be placed under the care of family members (often grandparents). And unfortunately, other times there are no living relatives that are able to provide a safe environment for the children. This horrifying reality has led to the creation of “The Bird’s Nest” where we provide children with no other options, a safe home, with food, education, love and emotional support around the clock. We offer hope to a seemingly hopeless situation and ensure they retain a strong connection to their culture, while focusing on their education so that they are able to create a hopeful future. Volunteer Work: Website, outreach and fundraising. Occasional building projects, English teaching, and general support. Cost: 450 Thai Baht per day which includes accommodation, food, and transportation in the foundation vehicle for work purposes. DinDang Natural Building & Living Center aims to promote the natural and traditional techniques of clay house building in the area of Phato in southern Thailand. DinDang also promotes sustainable living practices. Volunteer Work: The volunteers will work on a set construction schedule, which will be made by week by week (depending on the progress, work that needs to be done, weather conditions, etc). The project is available year around and is aimed at anybody who wants to learn how to build with clay with an interest in construction and gardening. Cost: 2,500 Thai Baht per week which includes accommodation, food, in-country transport to/from the project, guidance and mentoring by DinDang.